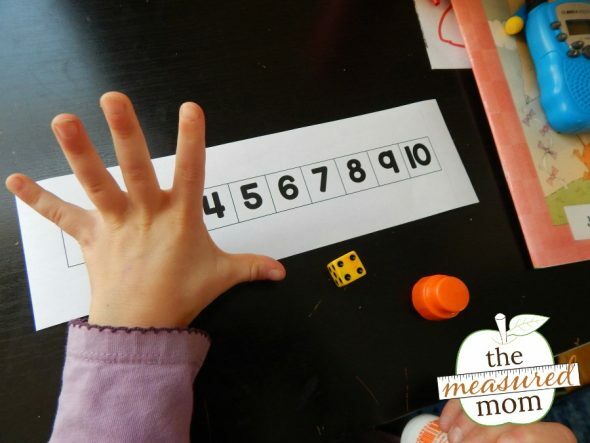 Looking for a simple math activity for spring? 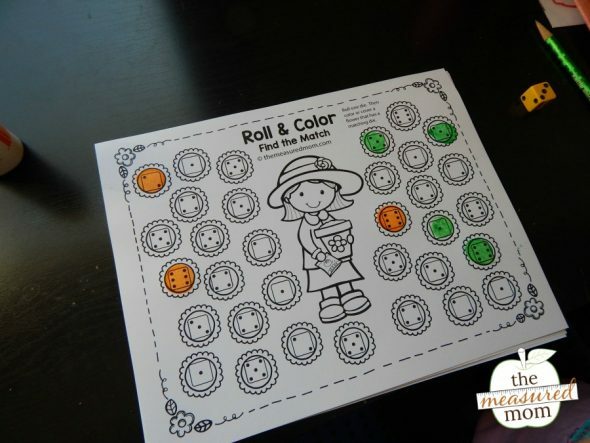 Try these spring roll & color games! 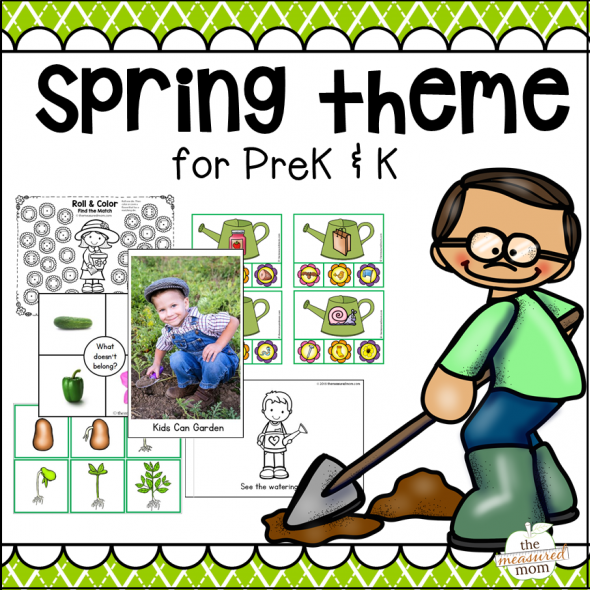 Today I’m sharing a free sample from my Spring theme for preschool and kindergarten. 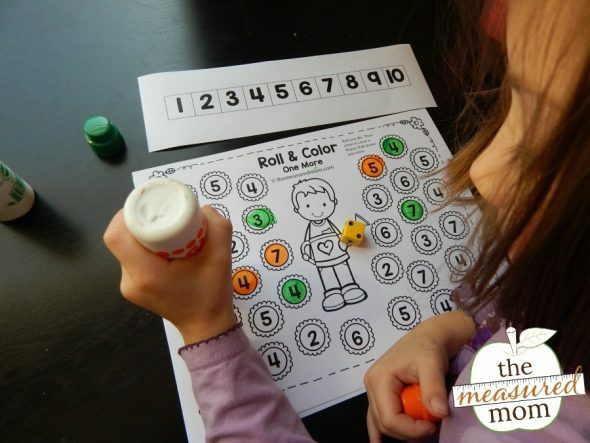 This is a set of Roll & Color games that will help young learners match numbers on a die, add one, and subtract one. The first game is the easiest. My Four simply rolled the die and found its match on the board. Then she dotted it with a Do-a-Dot marker. 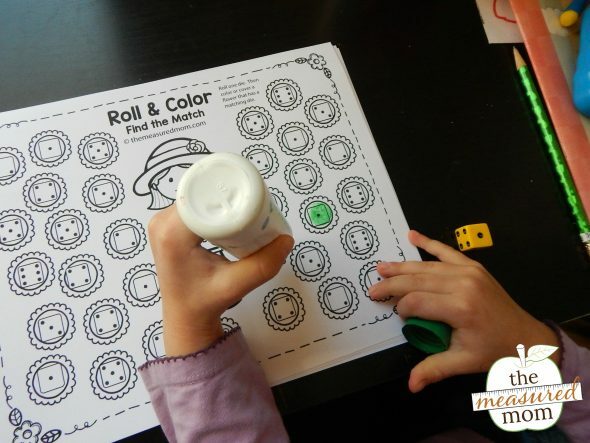 While you can certainly use crayons or markers to color the spaces, I recommend the dot markers. They’re fun to use, and they keep little hands from getting tired. We took turns rolling and dotting until the entire game was covered. The second game was much more challenging for my preschooler. We rolled the die and then found a number that was one more. My Four loves to talk about numbers in everyday conversation. I figured with all this math talk that she’d catch on to the game pretty quickly. 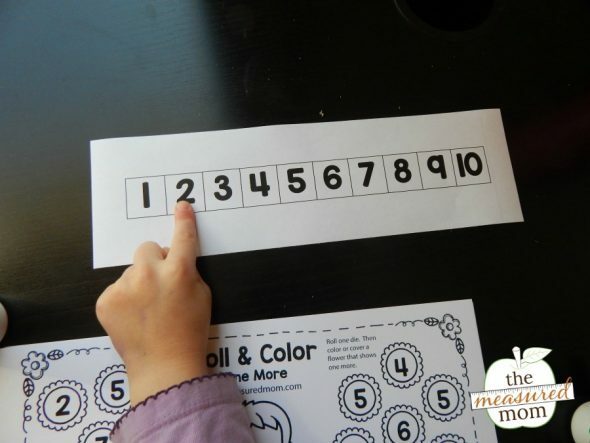 To help her out, I created a very simple number line (included in the download). When she rolled the die, we found the number on the line. Then I showed her how to go ahead one to find the number that was one more. 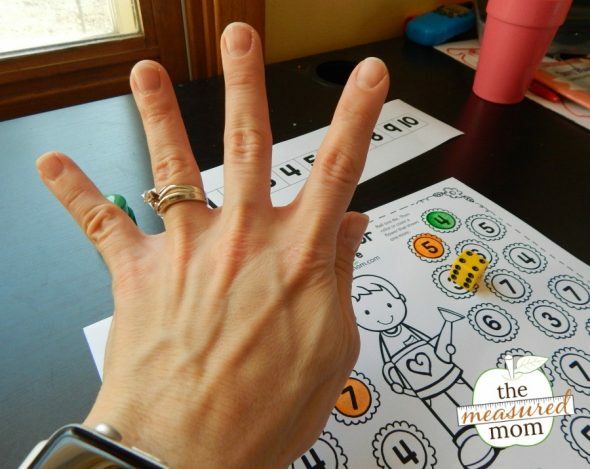 I also showed her how to hold up her fingers to show the number she rolled – and then add one more finger. With continued practice, she was able to do this herself. Of course, when you’re working with a 6-sided die, your child can only add one to the numbers 1-6. But I still felt it was a great introduction to basic addition. The download also includes a game for one less, but by this time my Four was ready to be done. 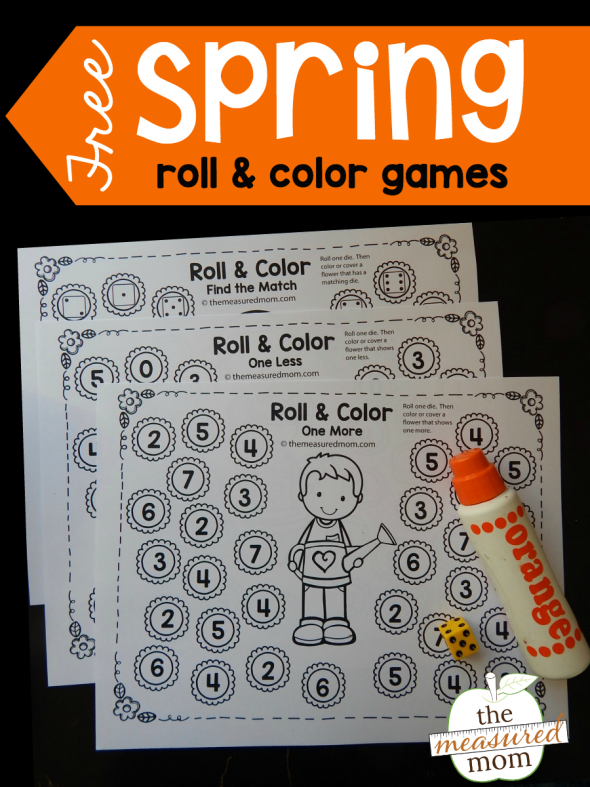 I hope you can use these spring roll and color games! 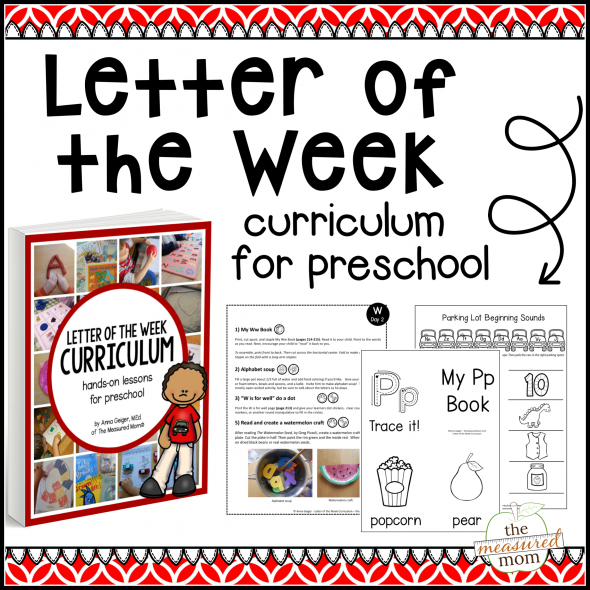 When you purchase my complete spring theme, you get printable books, activity sheets, learning centers and more – all for an engaging spring theme in preschool and kindergarten! oh, I am so glad I found you! I’m gonna be sharing your posts with my readers:). Thanks for passing along my site, Bekki! That game looks so adorable and fun! What a fun way to review counting and addition. Thank you for sharing! I’m so glad you can use these, Akanksha! I’m so glad you find this useful!